Poblocki Sign Company LLC, a leader in the custom sign industry, announced today the Company’s expansion into the Northeastern U.S. with the acquisition of Advanced Signing LLC. 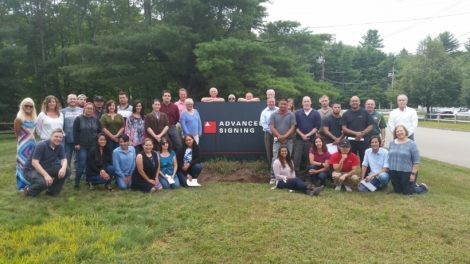 Advanced Signing has been a key player in the signage industry in Boston and the Northeast since 1981. They provide a full suite of signage solutions, with a focus on interior sign programs and a specialty in large format graphics. Click to look at Large Format Graphics projects in Portfolio. Start a project - fill out the contact form.